The US state of Hawaii is way out in the Pacific ocean, and is made up of hundreds of islands. There are eight large islands: Ni'ihau, Kaua'i, O'ahu, Moloka'i, Lāna'i, Kaho'olawe, Maui and the Island of Hawai'i. The biggest island is called Hawai'i, just like the name of the state. Sometimes so they don't get mixed up, people just call it The Big Island. In the language of the native Hawaiians, they said the vowels a little differently than we normally do. For the word Hawaii, it's pronounced Hah Wah Ee Ee. Any time you see the apostrophe like this ' then you say the vowel separately. Lana'i is Lah Nah Ee. Hawaii was the 50th state added to the United States, in 1959. 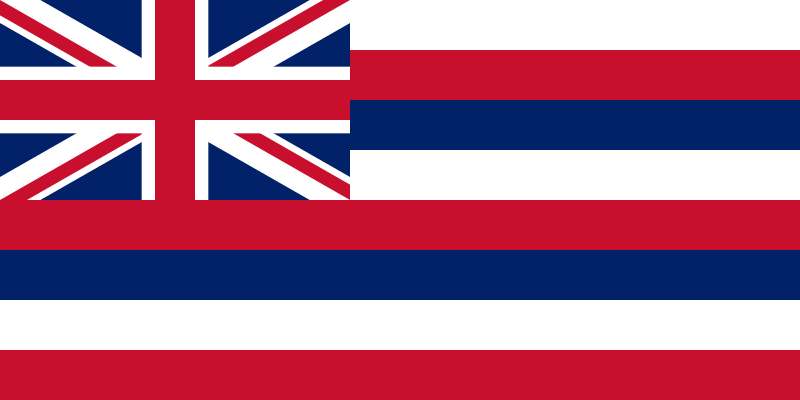 The flag of the state of Hawaii has the flag of the United Kingdom on it, to remember that Hawaii used to be owned by the United Kingdom. There are also eight red white and blue stripes, for the eight major islands of the state. 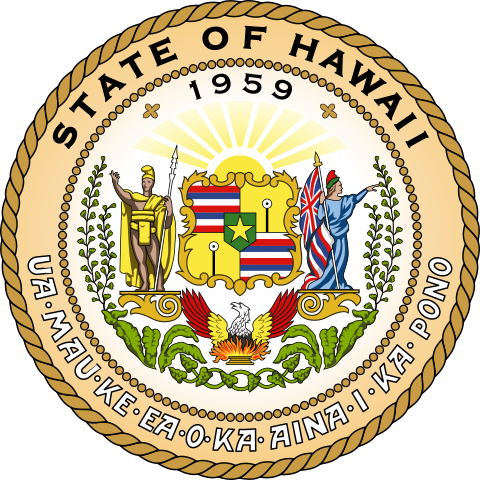 The seal of Hawaii has a shield on it, with red white and blue stripes, and a pulo'ulo'u which is a stick with a ball on the end that was used for kings and queens. On the left is King Kamehameha I who helped bring all the islands together, and the goddess of liberty on the right. There are many waterfalls all over all of the islands, like the Akaka Falls waterfall on The Big Island. There are beaches with black sand on them in Hawaii, like Punalu'u Beach. The islands of Hawaii were made when volcanoes erupted and the lava cooled and turned into islands. The Big Island has five volcanoes on it, and two of them are active. The most active one is called Kīlauea and it has been erupting since 1983. On the island of Maui, there is a shield volcano called Haleakala. 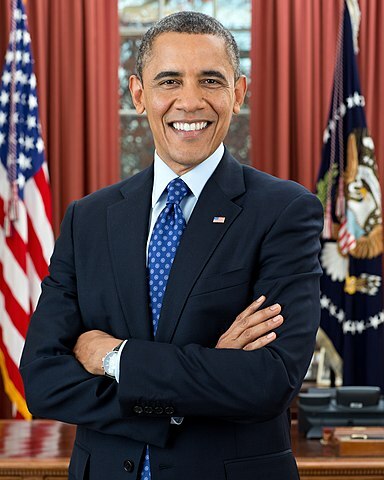 The 44th president of the United States Barack Obama was born in Hawaii.